I'm not sure if any of this is for our December holidays — maybe it's more for Halloween? Anyway, I thought it was unique. 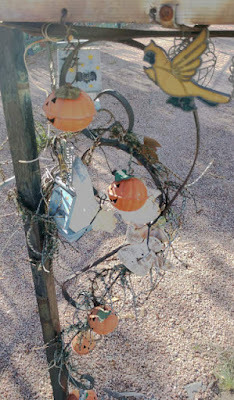 The second photo is a closeup of some of the jack-o'-lanterns, birds, etc. 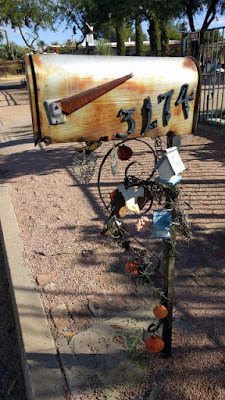 I found it south of Reid Park on December 16th.